Whether the Chinese RMB appreciates or depreciates is an important subject. There are various predications about its trend. 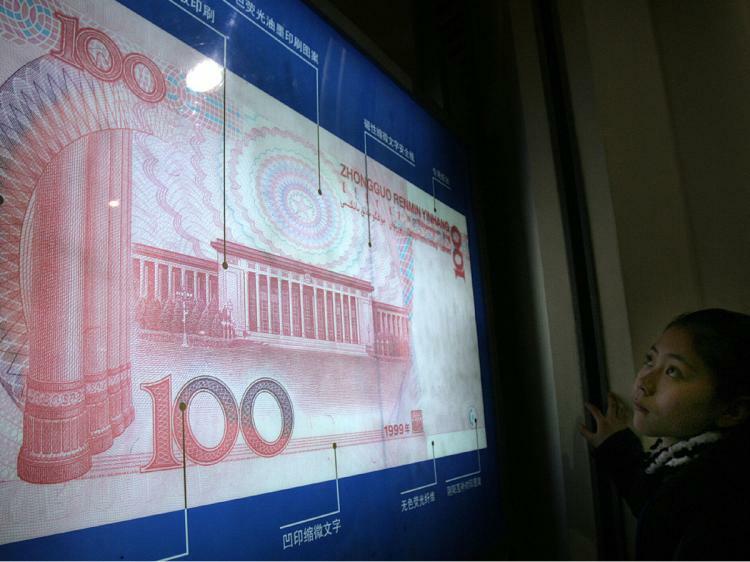 This article is a systematic analysis of the history of the RMB. In 1997 when the Asian Financial crisis happened, Chinese authorities declared that the RMB would not devalue. As a result, the RMB adopted a fixed rate against the U.S. Dollar. Although the Chinese government did not officially announce this, the RMB rate against the US Dollar did not change for a long time. The RMB would have appreciated a long time ago according to the market. However, since China’s economic growth is mainly achieved by the growth of exports, the Chinese government suppressed the RMB’s appreciation in order to maintain its high growth rate, and consequently faced high pressure from the international community. During the meeting, attended by the seven developed nations in the Organization for Economic Co-operation and Development (OECD) in February 2002, Japan’s Minster of Finance Masajiro Shiokawa submitted a bill to the other six countries suggesting appreciation of the RMB. In mid 2003, U.S. Treasury Secretary Snow and Chairman of the Federal Reserve Bank, Alan Greenspan expressed that the RMB should be more flexible. Some U.S. economists estimated that the RMB was about 15-50 percent undervalued. On June 19, 2004, the National Association of Manufacturers, the largest manufacturer’s association in the United States took the lead in urging the U.S. government to force the appreciation of the RMB under Article 301. On April 6, 2005 the U.S. Senate passed a bill to request the Chinese government to raise the RMB value, otherwise Chinese goods exported to the United States would face penalty import taxes as high as 27.5 percent. As of the end of June of 2005, the Chinese government’s foreign reserve reached $711 billion and its trade surplus rapidly increased, causing more friction with key trading partners. For many years, China was the country that received the most “anti-dumping complaints.” Therefore on July 21, 2005 the Chinese government started to adopt the “controlled floating exchange rate system.” In the following three years, the RMB started to appreciate, and until now, the exchange rate of RMB against U.S. Dollar has increased 20 percent. However, the gradual appreciation process brought tremendous amounts of capital gain and hence three years of tremendous growth of hot money (Chinese laundered money). From 2003 to 2008, the Chinese government’s foreign reserve increased from $403.2 billion to $2 trillion. Due to tight capital control, large amounts of “hot money” entered China under the guise of traded goods, causing a continuous increase of China’s trading surplus and pressure to appreciate the RMB. However, in July 2008 when the exchange rate of the U.S. dollar was about to reach 6.5 against the RMB, the exchange rate started to fluctuate. From December 2008 to present, we have seen the worst devaluation since 2005 when the new RMB exchange policy was adopted. The trend of the RMB in 2009 has become a key subject. China’s New Weekly magazine published an article titled “Is Chinese Currency the Next Hard Currency?” indicating that the RMB will lead the world. Some economists think that the global financial crisis provides an opportunity for the RMB to become a leading currency. Other experts indicated that the rapid appreciation of the RMB has caused the bankruptcy of export-oriented enterprises in China’s costal cities. Massive unemployment is likely to cause social problems, which is the biggest concern of the Chinese government. Therefore, the Chinese government will devalue the RMB in 2009.